Throughout history and to this very moment, women have enjoyed the dramatic impact of a beautifully crafted cape. Like Audrey Hepburn, they wore them for face-framing allure. Like Princess Diana and Grace Kelly, they wore them in cool weather, as a chic alternative to an overcoat or ski parka. Like Taylor Swift and Blake Lively, they wear them for pure, unadulterated style. As you know, our constant search for objects of beauty and exquisite quality brings us all over the world. Peru, a land renowned for producing the softest woolens, is where we recently discovered our new line of capes. Buttery soft alpaca wool combined with a classic, elegant style was a match made in heaven. What a wonderful find, and just in time for the winter season! We hope that one of these treasures becomes your go-to piece this autumn and beyond. 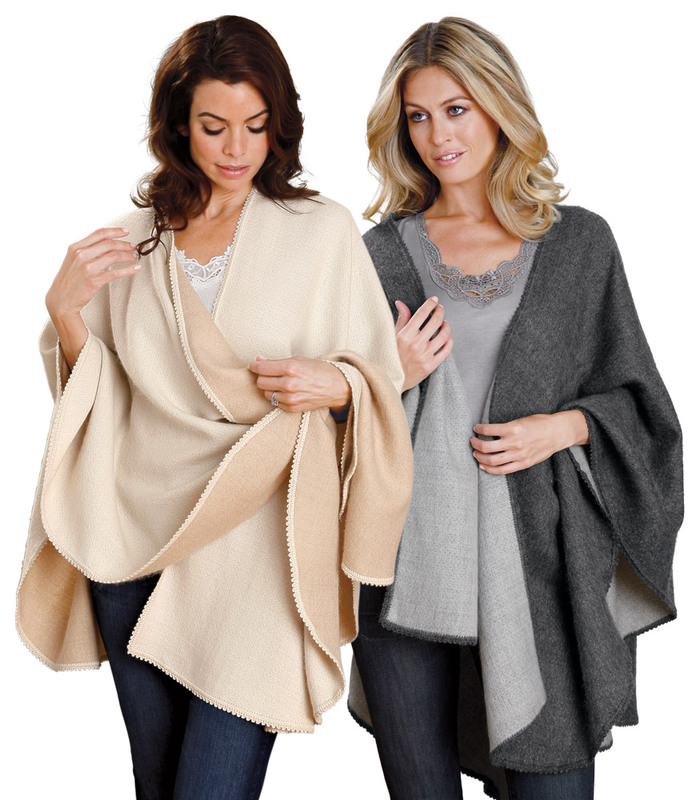 Whether you are delivering homemade holiday gifts to neighbors, ice skating with your children, or meeting a friend for lunch, our Birgitta cape elevates every moment into the realm of extraordinary. Its tailored, streamlined look features a braided detail on the collar, a silky satin-lined interior for extra warmth, and hidden openings for your hands. Worn with your favorite chunky bracelet, a group of stackable rings, or a brightly hued manicure, you will love how the placement of the openings frames your hands in the most elegant way. If you wear our Annika cape around town, be prepared for street-style photographers to start snapping pictures! Like any celebrity, your every move will be a picture when you wear this fur-trimmed beauty. In black, it creates pure drama for evenings out, draping beautifully over dresses and highlighting smoky eye makeup. In cream, it pairs beautifully with caramel leather boots and winter whites for daytime wear. 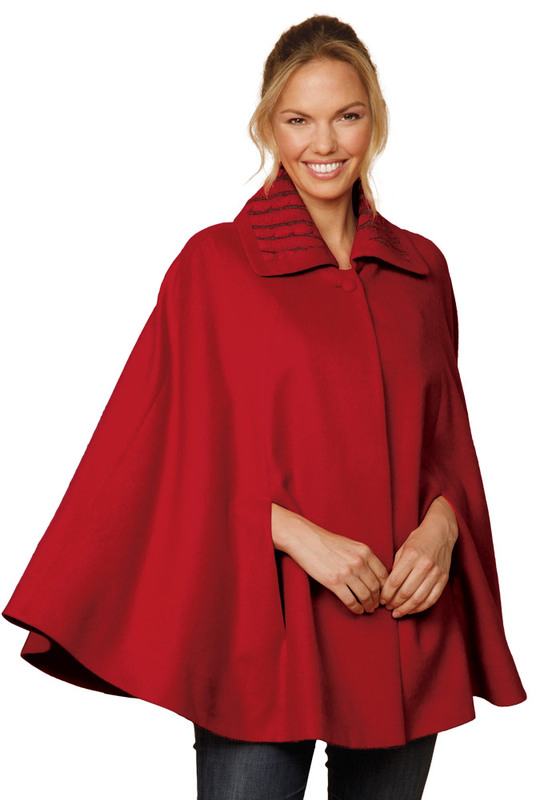 Our Onassis cape makes a wonderful alternative to a cardigan when the weather cools. Thicker than a shawl, it can be belted or worn loosely draped over the shoulders. Woven from soft baby Alpaca and embellished with delicate crochet, it comes in reversible neutral colors to match any outfit. All of these qualities make it a versatile companion for travel, and a staple for those days when the temperatures, both indoor and out, may be unpredictable. As you may have guessed, our Onassis cape was named for the trend-setting and timelessly beautiful Jacqueline Kennedy Onassis. We would be remiss not to include a photo of the fashion icon wearing a cape. 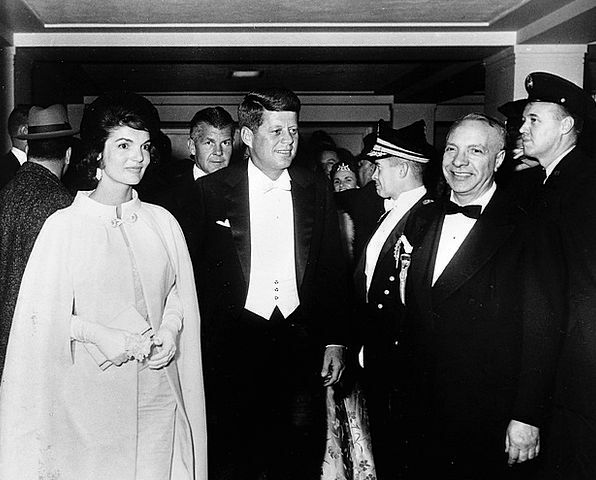 Jackie once said, “I am a woman above everything else.” Here she is, looking just that, at the inaugural ball in 1961. From evenings out to the easiest weekend days spent with friends and family, one of our new capes will keep you stylish, cozy, and feeling like “a woman above everything else.” How will you wear yours? Let us know in the Comments section. We’d love to hear from you!